Cargo business has increased at the Jomo Kenyatta International Airport by 40 per cent in the last five years, with exports registering an increase of about 72 per cent. Imports have however registered a drop of about 46 per cent due to the clearing process which takes about a week, sources say. 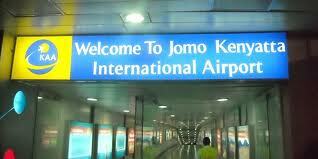 Importers instead prefer Eldoret International Airport which clears cargo in two to three days. Cargo volumes which stood at 211,534,735 kilogrammes in 2005 now stands at about 295,813,000 kilogrammes while exports which was 154,385,372 kilogrammes then is now standing at about 265,159,000 kilogrammes. Imports which was 57,149,363.90 kilogrammes then is now at 30,654,000 kilogrammes. In 2006, cargo volumes increased to 242,493,574 kilogrammes before it increased in the year 2007 to 276,881,318 kilogrammes. In 2008, it registered the highest — 300,584,982 kilogrammes — before it dropped to 263,070,073 kilogrammes in 2009. According to statistics seen by the Nation, the improved cargo volumes led to JKIA being voted as the best cargo facility in Africa by Shipping, Transport, Aviation and Tourism (Stat). Stat is an international transport media renowned for encouraging excellence in various categories of air cargo industry since 2006. Chief executive officer of swissport cargo services Jeroen de Clercq a private/public partner which operate at the JKIA said they handle about 70,000 kilogrammes of cargo a day. He said they handle mainly cut flowers which are airlifted to Europe for onward distribution in Amsterdam, Netherlands. Passengers have also increased at the airport by about 30 per cent during the last five years. Kenya Airports Authority managing director Stephen Gichuki said passengers have increased by about 568,577 from 5.4 million in 2009/2010 to six million in 2010/2011. He said the increase has necessitated the authority to scale-up the upgrading of the airport to target about 9.2 million passengers by the end of next year. Mr Gichuki said passengers have been increasing significantly at the airport since 2008 which stood at 4.7 million before it shot up by about 326,807 to five million passengers in 2009.